America’s aging population—called the Silver Tsunami by some in the industry—will result in a greater need for care services. This was highlighted and discussed in detail at an Alliance for Health Policy half-day summit in Washington D.C. The article The healthcare workforce needs to adapt to the industry’s current reality, pointed out that the population of those 65 and older will grow from 47.8 million in 2015 to 88 million in 2050 (according to Leading Age, a nonprofit association of 6,000 nonprofit aging services organizations dedicated to an America freed from ageism.) In fact, for the past several years, Japan has had to manufacture more adult diapers than infant diapers to keep up with the growing demand of an aging population. If this is happening in Japan, one has to wonder: will there be enough physicians to meet the growing healthcare demands of America’s own aging population? Watch how this develops now and in the future. The shortage of physicians brings up another concern within the healthcare industry: Physician burnout. A recently released survey by Medscape indicated that nearly two-thirds of U.S. doctors feel burned out, depressed, or both—and those feelings affect how they relate to patients, according to a survey conducted by Medscape. Adding to physician stress is the fact that many patients come to appointments having already researched their symptoms online, using Google to search for medical answers on their own. So, when they come to appointments, they already believe they know what is wrong, or could be wrong. In the past, doctors and physicians were viewed as true thought leaders—the experts in their field. But now, patients are challenging doctors based on what they research on the Internet. This is causing appointments to run longer, and doctors to spend more time defending their own medical advice based on their expertise and training. This phenomenon requires doctors to more diligently follow healthcare trends even related to what’s available on the Internet or through a simple Google search. They also have to work harder than ever to ensure they have good interpersonal skills to secure a good patient experience—especially when patients may question their own professional medical advice based on what they researched online. It’s a tricky balance. Another issue causing physician burnout? Electronic Health Records. They are causing information overload. But EHRs are also not going anywhere and many healthcare leaders see EHRs as a positive for the industry, versus a negative. So what are some solutions? According to panelists at the Alliance for Health Policy Summit, healthcare education needs to adapt and adjust to the changing needs of the industry. One expert said that most healthcare professionals are trained in silos, then asked to work in a team environment. The focus needs to be on teamwork from the start. 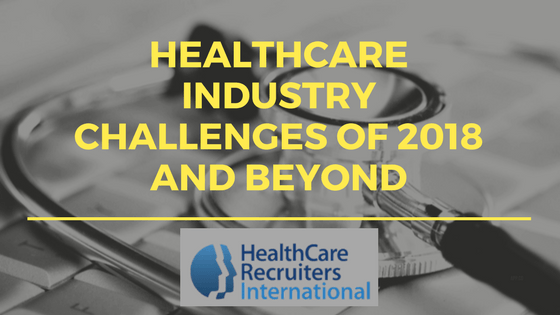 That, and a better understanding of the fast-changing landscape of the healthcare workforce will help create solutions to some of the industry’s biggest challenges going forward.